DPR Construction, one of the nation’s leading technical builders, kicks off its 20th anniversary year by ranking No. 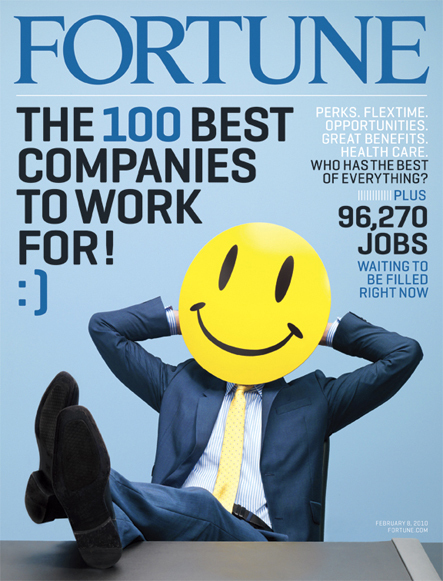 57 on the 13th annual FORTUNE “100 Best Companies to Work For” list. According to FORTUNE, the annual survey, conducted with the Great Place to Work© Institute, is the most extensive employee survey in corporate America, polling employees from companies nationwide about their company culture, credibility of management, respect for individuals, fairness, job satisfaction and camaraderie. In addition to the overall 100 Best Company list, DPR is ranked No. 6 among the top 10 Best Companies where employees feel “encouraged to balance their work and personal life.” DPR was also recognized for low turnover, annual pay, employee referral bonuses and fully paid sabbaticals. Eighty five percent of DPR employees surveyed responded to the FORTUNE “Best Companies to Work For” survey, and those survey results accounted for two-thirds of DPR’s score. The other third of the scoring was based on responses to the Institute’s Culture Audit, which included detailed questions regarding pay and benefit programs, as well as a series of open-ended questions about hiring, communication, training and diversity. Phantom Stock program that allows employees to share in the financial performance of the privately held, employee-owned organization. “When we founded DPR, we wanted to do something different; we wanted to build a company that really takes care of people—employees, their families, business partners and friends—and develop a culture centered around doing what is right for our projects and customers, and driving change in our industry,” said Woods. 6,100 – Number of projects DPR has completed across the country for such world-class customers as Apple, Arizona State University, Banner Health, City of Hope, DreamWorks, Genentech, Hewlett-Packard, National Institutes of Health, Sutter Health, The Scripps Research Institute, U.S. Green Building Council and many others. <10 – Number of years it took DPR to reach the $1 billion mark in annual revenue. #33 – DPR’s current ranking among general contractors in the nation (ENR). DPR has ranked among the top 50 general contractors in the country since 1997. 0.93 – DPR’s Occupational Safety and Health Administration (OSHA) recordable incident rate for 2009. With an incident rate less than 1, DPR continues to set new industry standards in safety when compared to the national industry average of 5.4.